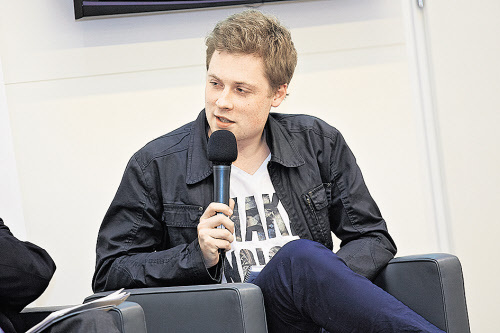 The youngest Austrian candidate with a realistic chance to be elected into the European Parliament is Stefan Windberger. 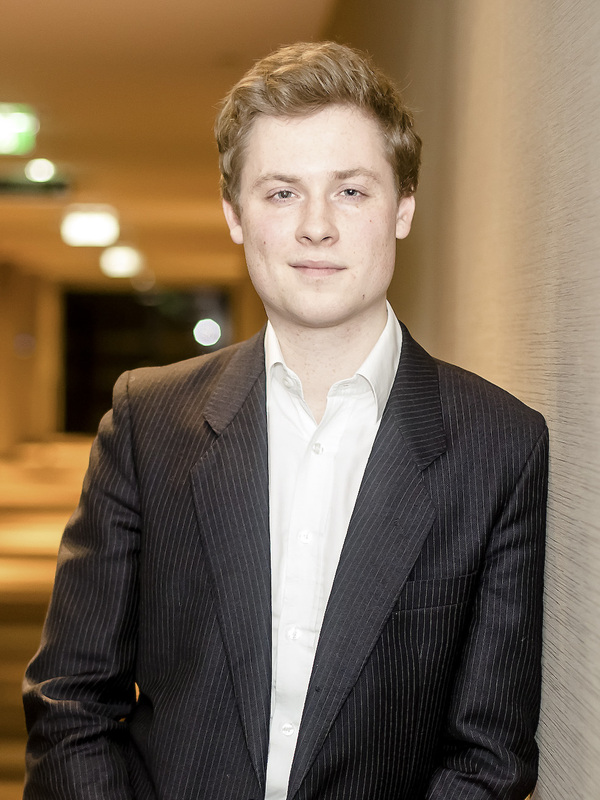 The 25-year-old has studied international affairs and international political economy at the London School of Economics and Sciences Po in Paris and has started recently his own consulting firm in Vienna. 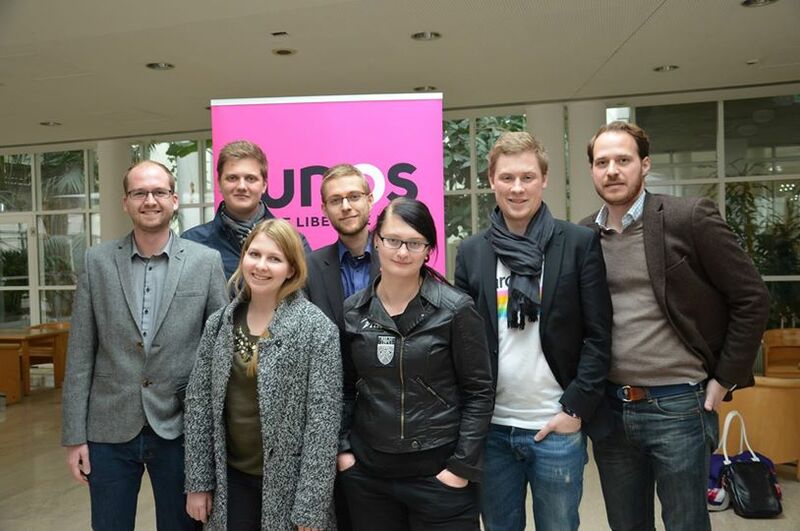 In February, he was officially selected as the number two candidate for NEOS, a newly established liberal movement. The polls suggest that NEOS will get some 12% at the European Parliament elections on 25 May 2014 whereby about 10% would be necessary for Stefan to become a Member of European Parliament (MEP). Standing up against youth unemployment, calling for educational reform and establishing easier ways to start new businesses for young people are his main priorities. In addition, he presents his ideas about Europe that are based on a call for a federal Europe. This Skype interview was conducted on 12 April 2014. JL: According to the latest opinion polls in Austria it appears pretty certain that you will become a Member of European Parliament (MEP) very soon. Have you realized that yet? Windberger: (thinking) …the polls are looking good for us, but there are still six more weeks to go. I don’t think we should rely on the polls entirely and take it easy. Together with all NEOS we will try to make the best out of it in order to secure the two mandates on 25 May 2014. JL: NEOS is a new movement in Austria. What exactly is NEOS? Windberger: NEOS is a liberal citizen movement. The crucial difference between traditional parties and us lies in the way in which we structure things, how we develop our party program and how we select our candidates. Transparency is of paramount importance. Every single euro that NEOS earns or spends is made public online. Our party program is not developed behind closed doors but co-created by around 30 task forces, debating everything from foreign policy to education. Everybody can participate regardless of whether you are a party member or not. We select our candidates in a three-tier system with first an online vote, second a vote of the party board and finally a third round where the members vote. All rounds are treated equal. In the online vote, every Austrian and EU citizen living in Austria can participate. JL: The opinion polls are suggesting on 25 May NEOS will receive 12% of the votes, although being a new party. Why is NEOS so popular at the moment? Windberger: NEOS got 5% at the national elections in September 2013 contrary to what people predicted. Most people said that we will never make it – but we made it! However, it was essential that our nine representatives in the Austrian Parliament and their teams did a first-rate job in the past few months. We stayed true to our principles and values, for instance how we involve people in the task forces, how we select candidates. Now, people also know us and know what we stand for. JL: How have you been selected as a MEP candidate for the NEOS? Windberger: To be honest, it came as a big surprise to me (laughing). Everyone was invited to run and all 60 candidates had online profiles with videos stating their political vision. Citizens also had the opportunity to ask questions to the candidates for one month. Throughout this public procedure, I was able to get a lot of votes and I came in second – much better than expected. Some people in NEOS said that I might be too young. However, you can turn the argument around and say, yes I am very young but that is the positive thing about it. I told them, look at the facts: every third European is under 30 years old and youth unemployment is one of the biggest problems that we are facing. It definitely needs a European answer. It might be a good idea to send somebody young to Brussels. Out of 766 MEPs, only four are under 30. I am representing the generation “Erasmus”, the generation “internship” and I know how the job market is currently looking like. I can legitimately represent young people – especially for a party that claims to be the spokesperson of the young. JL: You are 25-years-old. Do you feel that you are prepared to become an MEP as you have never been elected to office before? Don’t you feel that the challenges in Brussels and Strasbourg are too big for you? Windberger: The challenges are obviously huge. But I have a vision to really change things for young people in Europe, especially in the field of education and entrepreneurship. European educational programs like Erasmus should also become success stories for apprentices and high school students. These programs are underfunded and the EU should not be a project of the academic elites. Entrepreneurship needs more attention for it becomes easier to start companies in all EU countries. In the World Bank index, there is not a single EU Member State in the top 10 ranking of how easy it is to start a company. And Austria is only number 138, behind Kosovo and Sudan. This needs to change. JL: You seem to be passionate particularly about young people. But how can you reach them? Windberger: One thing is education. Unfortunately the EU does not have a lot of leverage in this area. It is one topic where we need more Europe instead of less Europe. We need to think about common educational standards across the EU, like that every 18-year old should being able to speak English fluently. That would be very beneficial for inter-European mobility, which is still shockingly low in comparison to the U.S. It would also help to connect the job markets. The other thing is entrepreneurship. Instead of leaving for Silicon Valley or Singapore, young entrepreneurs should have a reason to stay here. The start-ups of today will provide the jobs of tomorrow. JL: The Austrian public is very critical towards the EU. What has been your experience so far during the election campaign? Windberger: Out of all 28 EU Member States, Austria has benefited the most on a per capita basis. But it is not possible to sell the economic reality to the public. I can go out there and say that our EU membership creates 12,500 jobs every year and companies save €4 billion every year. However, these are just numbers, it is difficult to grasp them. We have two choices: either we take a step forward towards a more federal Europe like Guy Verhofstadt from ALDE proposes or one step back towards more re-nationalization. To me, there can only be one step forward: towards a federal union with a proper constitution, like the American constitution, easy to read and developed by the people through crowdsourcing. In Iceland, they tried to crowdsource a new constitution! We also need a big change in the EU institutions. NEOS advocates for a two-chamber system. The European Parliament should become the lower house while a newly created upper house should replace the various forms of the Council, similarly to the U.S. Congress. We also want that the Commission to reform into a proper government structure with 15 ministers. I know that this is a bold vision these days, but we do dare to speak out what we think. JL: The huge majority of young people are apathetic about politics. How did you get involved into politics? Windberger: I was interested in educational policies ever since I was a high school student. I joined the high school union because I was fed up with my teachers. With that experience I developed more and more interest in politics, and in 2009 I started the Young Liberals in Austria with some friends of mine. We knew that we would hardly stand a chance in the Austrian political arena, but we felt passionate about it. We thought if we don’t do it, who else will? Otherwise the right-wing forces in Austria will get even stronger as they are already! I really feel passionate about new ways of doing politics, like NEOS does it. Politics has become a depressive place, as NEOS party leader Matthias Strolz once said. However, it does not need to remain so. We as citizens need to actively shape this future of how we act and live together. JL: Do you feel that you are now a role model for young people who want to get involved in politics? Windberger: (laughing) A role model is maybe too strong. I just try to change things in an area where a lot of people have given up hope. If that serves as a catalyst for other young people to stand up and say yes, I want to shape the policies of the future and get into politics, I am very happy. JL: You are of course also active on Twitter. Your Twitter handle is interestingly called @popartpolitics. How do you understand politics? Windberger: A good question (laughing). My Twitter handle is a reference to Pop Art, and to Andy Warhol more specifically. Pop Art is radically different to how art was seen previously. In my opinion, art is something that should to be accessible to the masses. Art should be easily reproduced and give everybody his or her 15 minutes of fame. I imagine politics needs to be similar to Pop Art, it should not be owned by an elite in an intransparent and unaccountable manner. Rather, politics needs to be a place that is accessible for everybody. JL: What are the three things that you would like to achieve during the upcoming European Parliament’s five-year period assuming you are elected? Windberger: First, increased funding for EU educational programs for all young people. Second, make it easier for young people to start their own businesses – less bureaucracy, easier access to finance, a European start-up fund. Third, shift money in the EU budget away from agriculture towards youth policy. JL: Where do you see the future of the European Union? Windberger: I want the United States of Europe. A federal European Union that is similar to the United States, with a constitution that is developed by its citizens. I want a European Union where it really does not matter from which part of the union you are from, something that is still a problem when you look at young people and the lack of opportunities in southern Europe. I want an EU where people do not feel it is a bureaucratic monster but a force for the good. Remember, the European Commission employs less people than the city of Vienna! JL: Thank you so much for your time!